So, you have taken the exciting move into hot tub ownership. 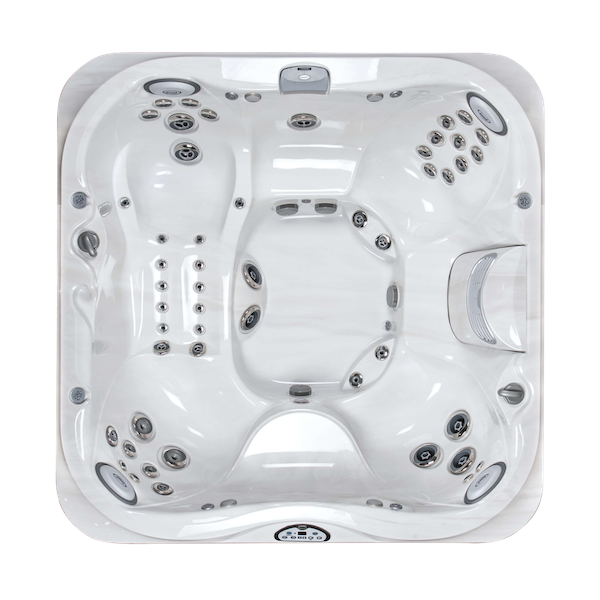 You’ve picked the best hot tub suited for your needs, decided on the perfect location, and are now ready to jump in and get away from the fast-paced world around you. It’s time to relax…… However, there is one thing that may still be on your mind as you embark on your spa ownership experience: HOT TUB CHEMISTRY! “How hard is it to maintain a hot tub?” is the first questions many people ask. Learning how to balance the chemistry in your hot tub is not mind-boggling and most people find it a simple chore. Regular pH checks are an essential part of your tub maintenance routine using Test Strips or a tablet test kit so get in the habit from day one. The basic factors that go into maintaining and balancing your spa water are pH levels, alkalinity, shock treatments and sanitizers. While you may or may not have an interest in chemistry, to maintain clean water that’s ready to use you must know a few simple basics. Don’t worry, you don’t need a lab coat or safety glasses. It’s simple and this handy guide is here to help. The most popular methods for domestic hot tub testing is by using test strips or a tablet test kit. Total alkalinity is super important. When it comes to hot tub chemistry, the first thing you want to check is the water’s alkalinity. The total alkalinity is the buffer of pH, if it is not balanced correctly, the pH will not give you a correct reading. Total alkalinity is the ability to control ph. Think of the pH as the thermometer on your central heating thermostat. The thermometer measures the exact room temperature. If it’s a little cooler than you like, you turn the thermostat up. You have just displayed the ability to control the temperature. Total alkalinity is like the thermostat; in that it gives you the ability to control ph. Therefore, you always test and adjust the total alkalinity before even touching your pH test kit. Your goal is to keep total alkalinity readings inside the acceptable range of 80 to 120 PPM. If you suspect your pH level to be a little high, then try for a higher reading of 150 PPM when testing the total alkalinity. Now, you ask, what would happen if I didn’t keep the total alkalinity balanced? Let’s take a quick look at the problems that can result. You want to check this before your pH levels because a proper alkalinity level will help to prevent fluctuations in the pH level. If the alkalinity (and pH levels) become too high, the chlorine-based disinfectants won’t be as effective and can lead to mineral build-up and other issues like cloudy water, skin or eye irritation, algae formation, and the formation of scales along the sides and bottom of your hot tub. Start with a testing strip (as previously mentioned).When removing the strip from the bottle, always tip the bottle down and let the strips fall into your hand. Be careful to only handle one of the strips, do not touch the other strips with your fingers, as you don’t want the oils on your fingers to get on the strips and ruin the test. Dip the strip into your hot tub water.Dip the test strip in the water, only long enough to get it wet, and then remove. Shake any excess water off the strip and compare it with the colour chart on the back of the kit. Where your colour falls will determine what your next course of action is. Is your alkalinity too low? To correct low alkalinity levels, use an Alkalinity Increaser. When adding the increaser to your water, always follow the directions of use on the bottle. Is your alkalinity too high? 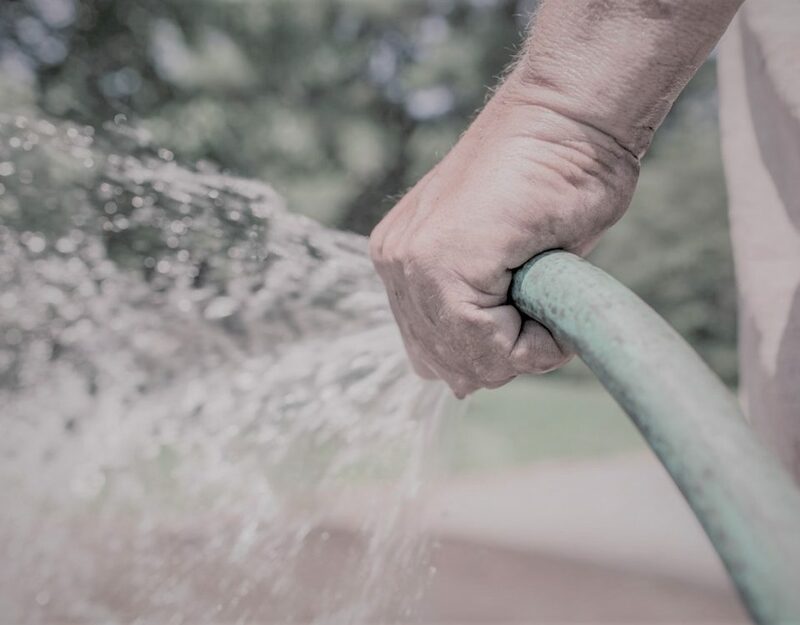 If your alkalinity levels are too high it may be an indication of considerably hard water in your area or other issues, contact your dealer to determine your best course of action. Remember, as you add chemicals to the hot tub, allow your water to circulate for a few hours (or even better, overnight) before re-testing for more accurate readings. Add chemicals slowly in your hot tub and never add more than one at a time. That way you can see how each chemical is influencing your hot tub chemistry, without the need for guesswork. Before adding any sanitizing chemicals to your hot tub, you need to check your pH levels to measure how acidic or basic your water is. When checking the pH levels, the ideal range you want to be in is 7.2 to 7.8. To determine your pH levels, use a standard spa test strip or pH test kit. Get your testing strip.Check your chemistry to determine your next steps to balance the water. When removing the strips from the bottle, take care not to touch any of the other strips. Dip the strip into your hot tub water.Dip the test strip in the water, just long enough to get it wet, and remove. Shake any excess water off the strip and compare it to the colour on the back of the kit. Add the appropriate chemical.Once you’ve determined whether you need a pH increaser or pH decreaser, follow the instructions on the back of the bottle. In most cases, you’ll be instructed to add a few capfuls of the chemical. When adding chemicals to your hot tub, it’s important to remember that the amount of chemical you need will vary with each situation. 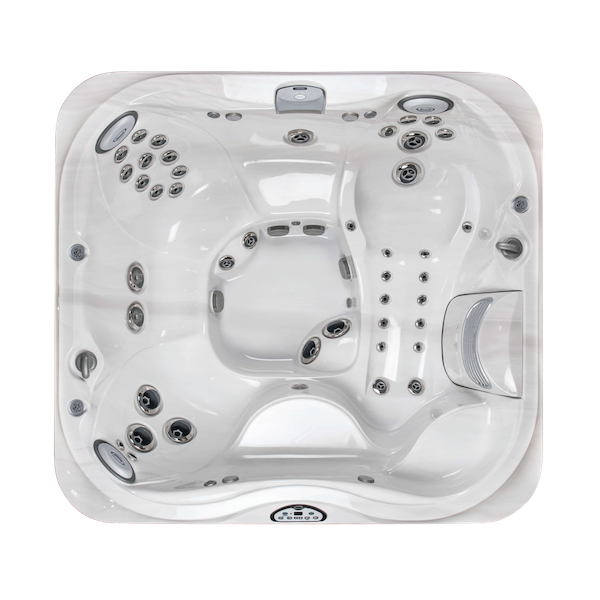 This is because you must take into consideration the body chemistry, bather load, and any outside materials being brought into the hot tub, such as mud, grass, and leaves. Unfortunately, some bacteria and viruses will survive in warm water. For this reason, sanitizing your water is extremely important. This helps to keep it disinfected, clear, and always smelling fresh and clean. The two most popular sanitizers in the U.K are bromine and chlorine. Bromine treatments are more complex than chlorine and can take longer to dissolve in water. Initials costs of bromine are higher compared to chlorine, but will be recouped over time (lower number of annual treatments). Chlorine treatments are easier to apply and go into effect quicker. Chlorine dissolves faster in water below 75° F than bromine. The cheaper option out of the two, but chlorine requires more maintenance compared to bromine. Chlorine has an advantage in killing algae more rapidly. Test your water.With the same testing strip you used to determine your pH levels and alkalinity, you can also see where your sanitizer levels fall. Add chemical sanitizer to balance your water.Opinions vary about which chemical sanitizer works best for them. Because of this, you may want to separately try out both chlorine and bromine to see how your water looks, if your body reacts in a negative way, and which is easier for you to maintain. When it comes to using sanitizers, Just Hot Tubs like both chlorine and bromine, but recommends always using them in the granular form. We have seen lots of damaged caused by bromine floaters. Taking time to shock your hot tub is another important part of hot tub ownership maintenance. Shock treatments sound a little brutal, but in truth all they do is break down any organic contaminants that could cause cloudy water and unpleasant odours. 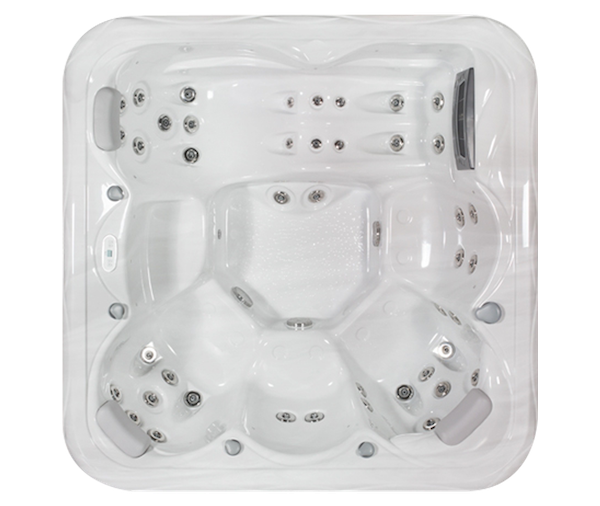 By oxidizing contaminants and releasing them as a gas, shocking your hot tub reduces the need for high chemical doses; aids in eliminating bacteria, viruses, and algae; and overall prolongs the life of your equipment. 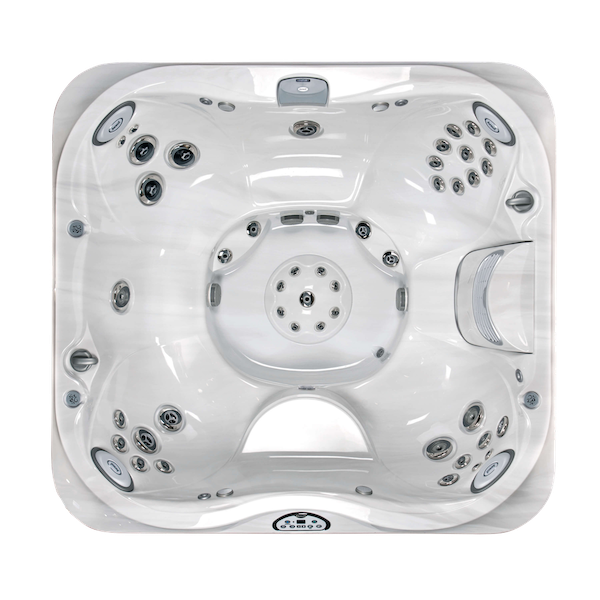 Just Hot Tubs recommend shocking your hot tub at least once a week to keep your water clean and clear. This can fluctuate depending on how often your hot tub is used, where you live, and humidity. When it comes to shocking your hot tub, there are two types of treatments to be aware of: non-chlorine and dichlor (Dichloroisocyanuric acid) shock. Non-chlorine shock. Is a monopersulfate compound (aka MPS), an oxygen-based shock and is used more regularly for maintenance. Dichlor shock (Dichloroisocyanuric acid). Is a form of chlorine often called sodium dichlor, this is both a sanitizer and shock. This type of shock is used occasionally to clear up any problems. In most cases, dichlor shock is recommended only when you refill your hot tub. After that the non-chlorine shock is the best option to go with. 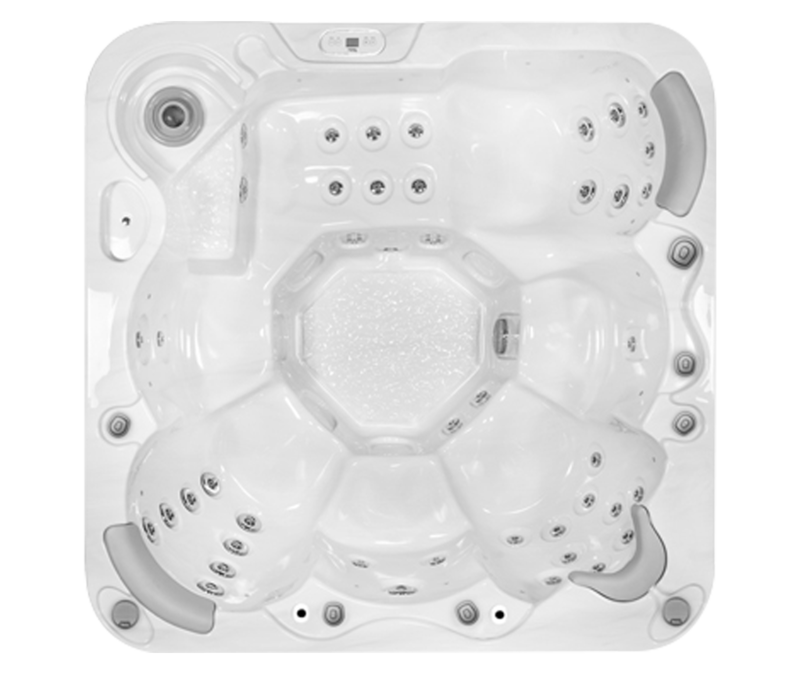 The shock treatment dosage depends on the size of your Hot Tub, water type, water temperature, hot tub placement, and other factors. Non-chlorine shock can be used on both chlorinated or bromine treated spa, it’s a granulated product that is ideal for removing organic waste and chloramines without increasing the chlorine level. When it comes to shocking your hot tub, always read the label to ensure you are conducting the spa shock correctly. Oxidizers (shock) can be dangerous when mishandled or are used incorrectly. Before beginning, read the label on the shock treatment package to verify you are adding the correct dosage to your hot tub. Test your water. Like the first step above, before you shock your hot tub, take a moment to test the water. Keep the water calm. Because you don’t want to agitate the oxidation gases (shock), make sure you turn off the blower, but leave the circulation pump on. This way you’re still allowing the shock to circulate within the spa, killing the bacteria, but not stir the gases up too much. Read the label.As mentioned above, make sure you always read the label before adding the shock to your hot tub. If you measure incorrectly, this can lead to a stronger oxidation strength than you’d planned and can lead to problems. Measure your shock with care. When it comes to shocking your spa, dosage is extremely important. Carefully measure your shock to confirm you’re adding just enough (not too much or too little) to disinfect your hot tub and not cause you any issues. Shock your spa with care. High winds can blow the shock treatment into your face or other human errors (spillage) can happen. To prevent these things, carefully pour the shock over the surface of your water. If a spill happens, clean it up immediately and always keep the shock out of reach of children. Over time water chemistry can become difficult to balance and needs a reset. 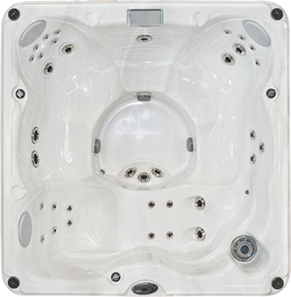 Replacing the water in your hot tub is important to flush out your plumbing and generally freshen things. You should try drain your hot tub about every 3 months. 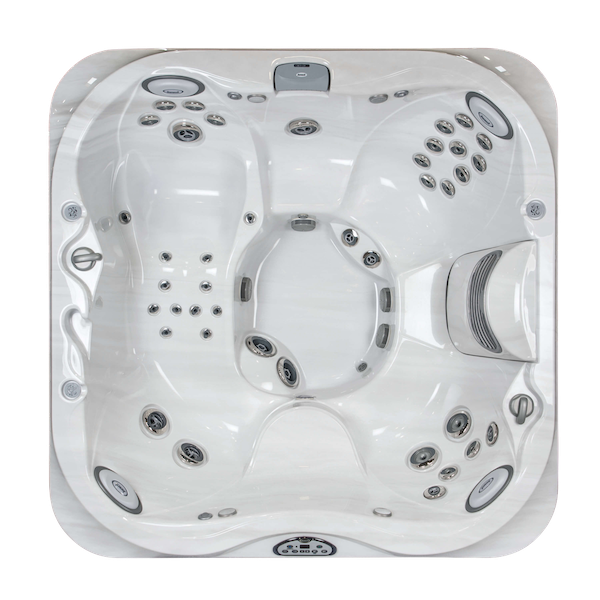 As you prepare to drain your hot tub, make sure you completely drain all the water. You may be tempted to only drain half or a portion of the water, but this is not advised. 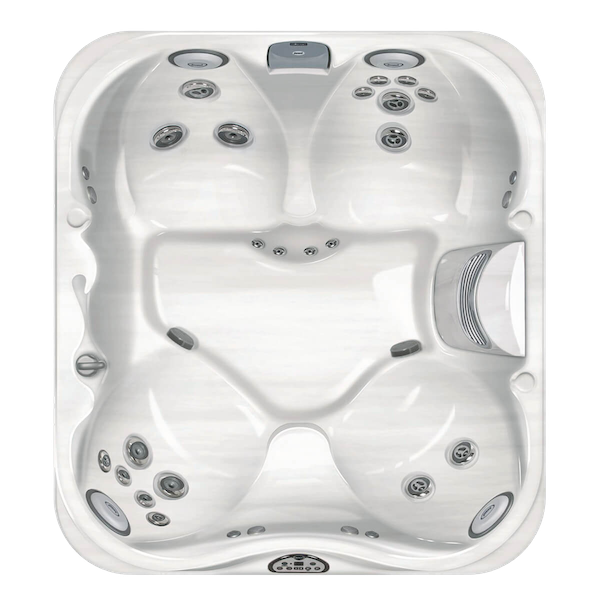 Give your hot tub a deep clean to remove surface stains, avoid corrosion, and eliminate any organic material that may have started to grow. Pick a place on your property to drain the water. 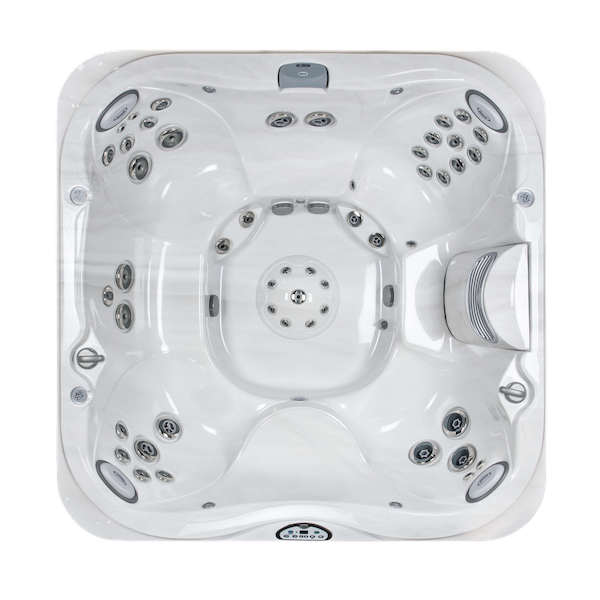 Hot tubs hold a lot of water and when you drain your spa, you will need a place for all that water to go. Avoid areas where the water could drain into a neighbour’s property, or anywhere else that could lead to water damage. Side note: most spas drain at a rate of around 22 litres per minute. Turn off the power to the hot tub at the breaker. 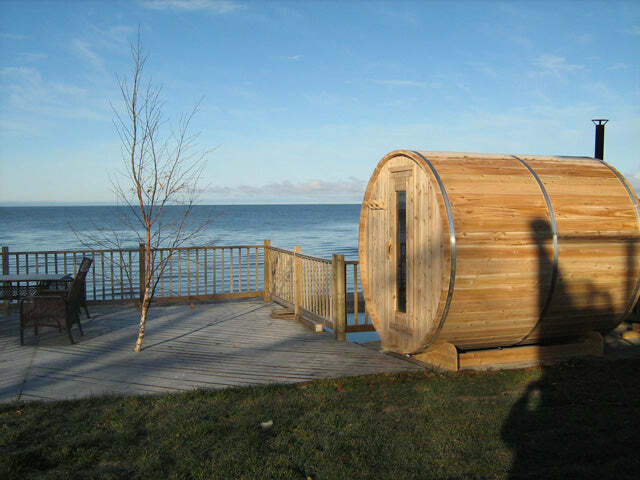 This will protect both you and your hot tub from risk of serious injuries. Locate the drain. 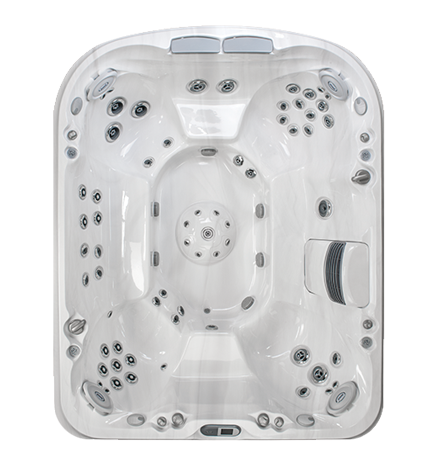 On most spas, including Just Hot Tubs, this can usually be found below the equipment compartment door. Once located, follow the manufacturer’s directions for engaging the drain. 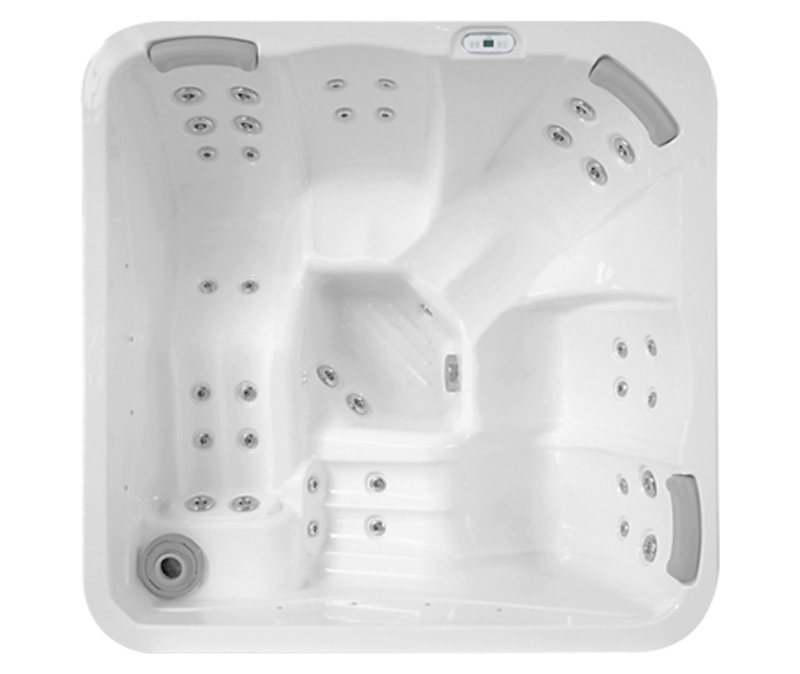 On a Spa from Just Hot Tubs, turn the drain clockwise to pull the drain out. Next, remove the drain cap. Drain the hot tub. 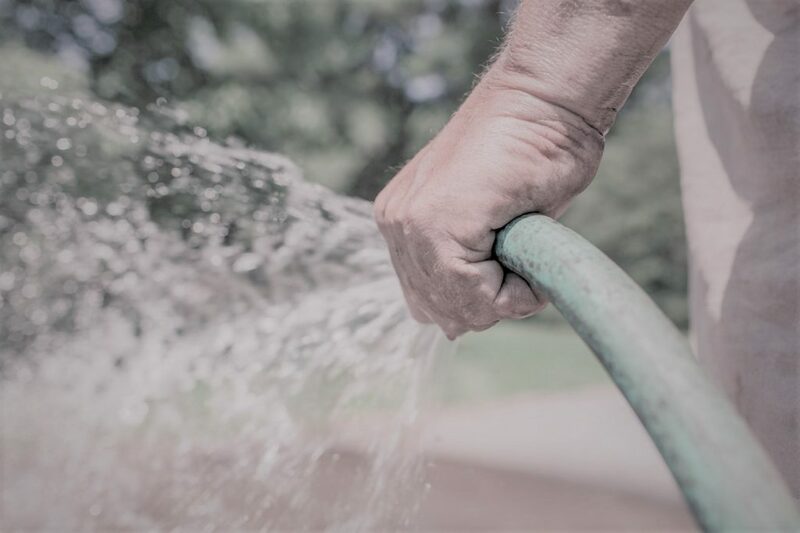 To activate the draining process, attach a standard garden hose to the drain spout to direct water to your chosen location. 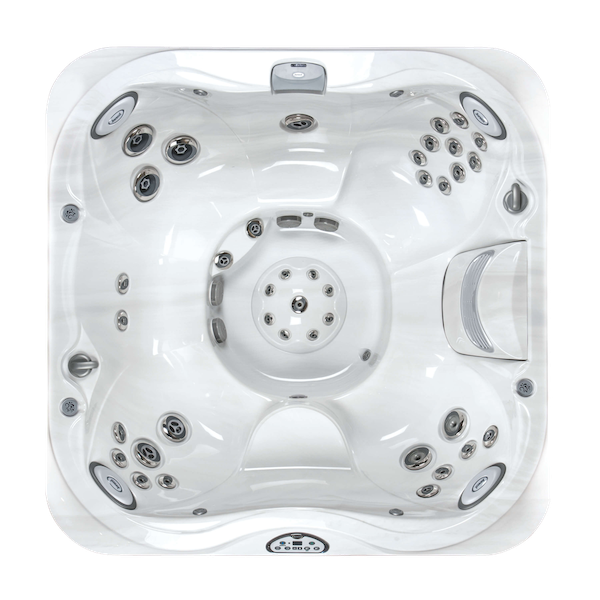 Once the hot tub is completely drained, remove the hose and replace the drain cap and push the drain back into the spa. Remember to never expose an empty hot tub to direct sunlight, this may damage your acrylic shell. Refill your hot tub. Place the garden hose into the filter compartment and turn on. Filling your tub at the filters will prevent air pockets in the plumbing and help keep your water clean as you fill. Fill your hot tub with high quality water which, in other words, means using house water and not secondary water from a river or stream. 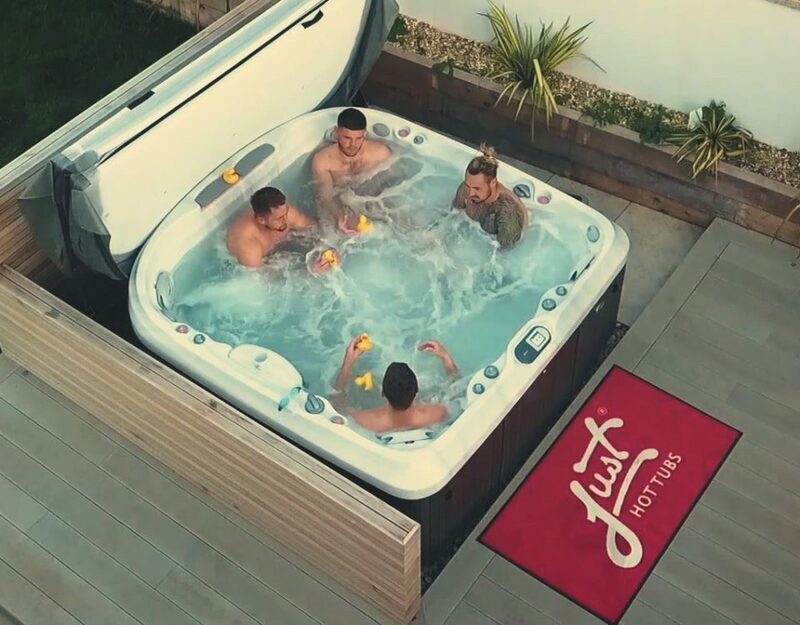 If your hot tub is left empty for some time it will need to be treated with a high dose of sanitiser before being switched back on, also if your tub is being drained in cold months it may be wise to have your spa winterised which will eliminate problems that the frost may cause. 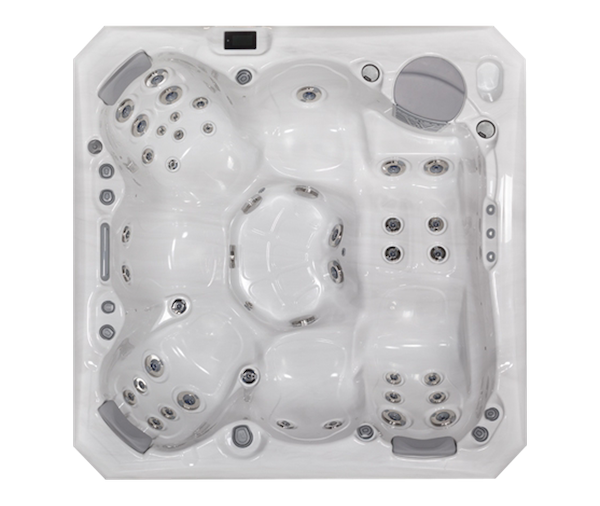 If you need any more information, then please contact your nearest Just Hot Tubs Dealer.